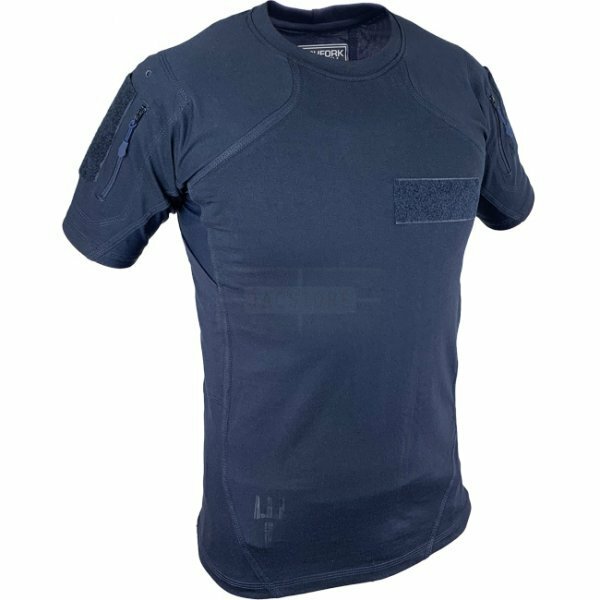 The Range Master T-Shirt is equally suitable for tactical environments such as shooting trainings as well as for sporting use. 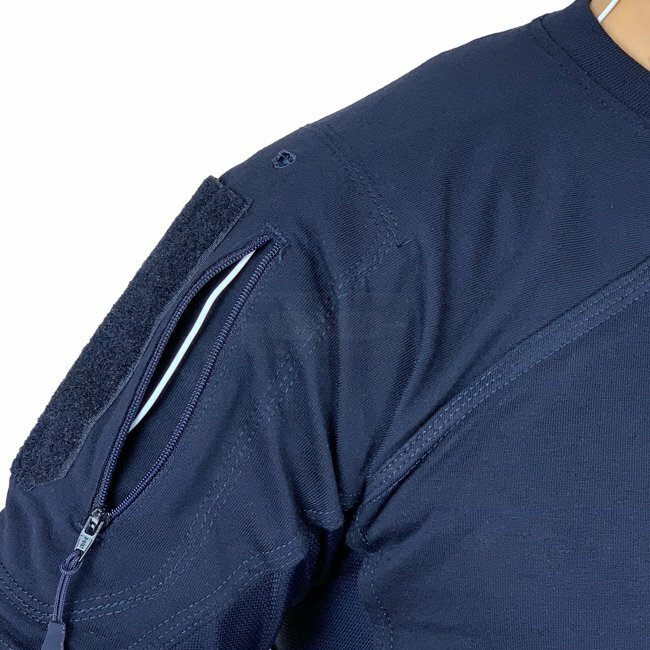 On the sides and under the arms, it has a light, soft and breathable mesh, which provides the necessary cooling in hot situations. 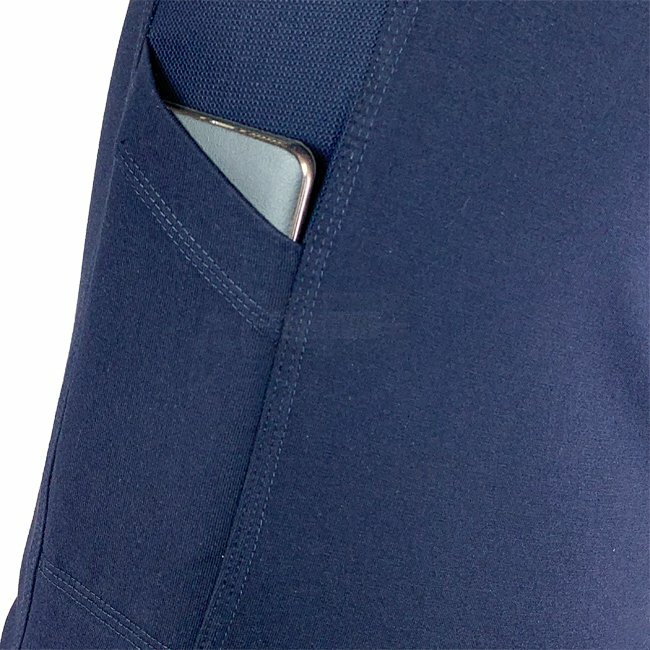 Also on the sides pouches can be found for a smartphone or other flat objects. 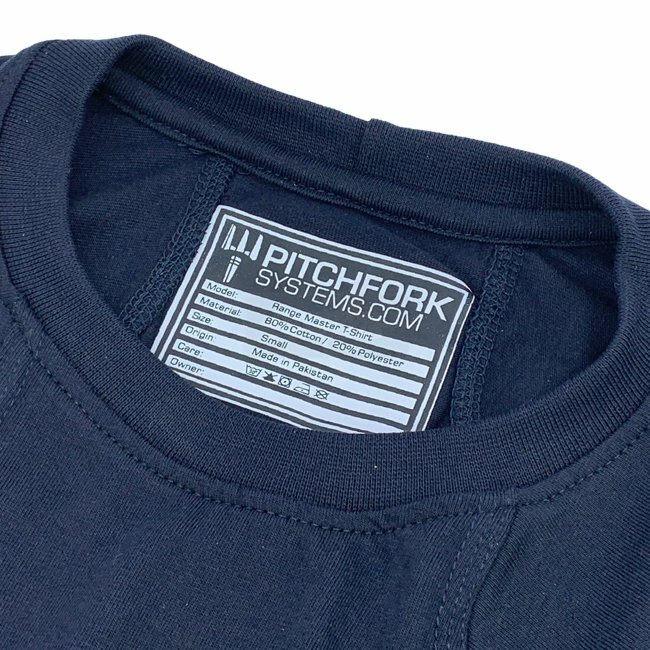 Cable bushings allow concealed routing of headphones or other cables. 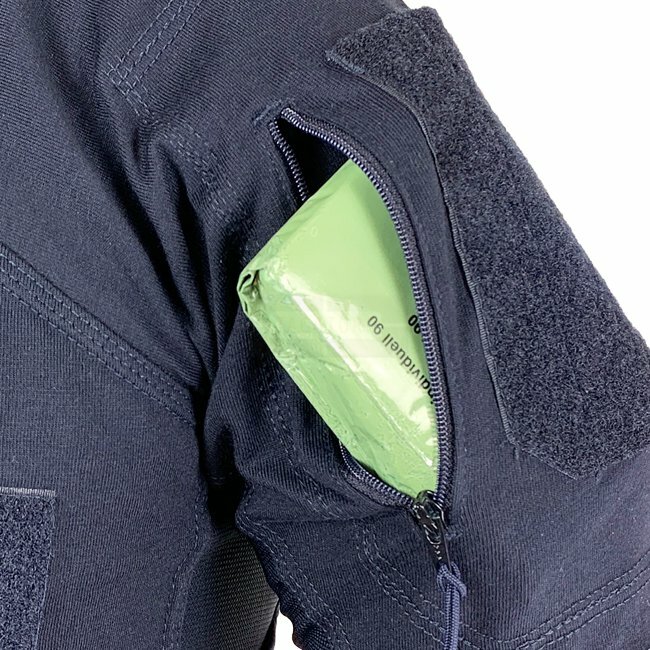 The integrated pockets on the upper arms with YKK zippers also have cable entries on both sides. 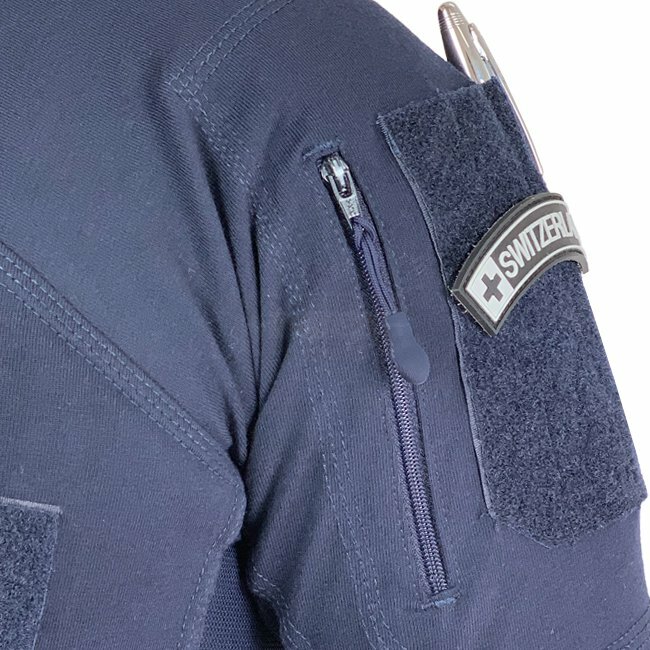 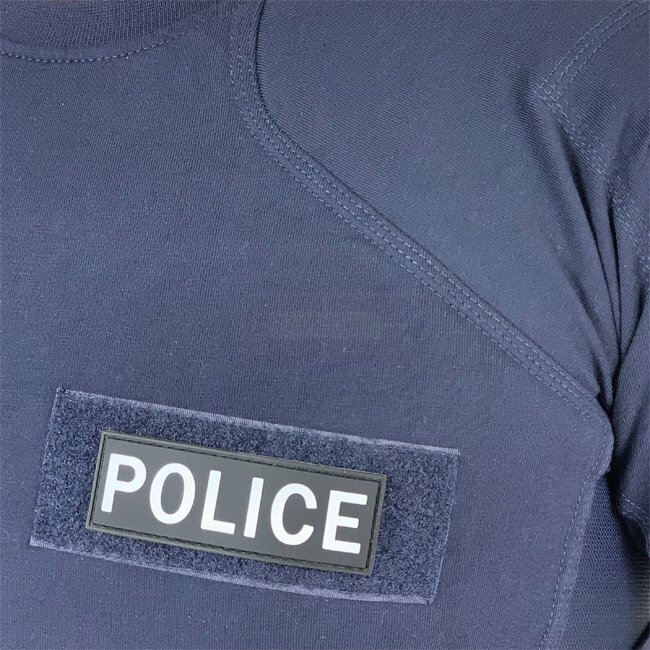 Velcro on the arms and on the chest makes it possible to apply name patches, rank insignia and others. 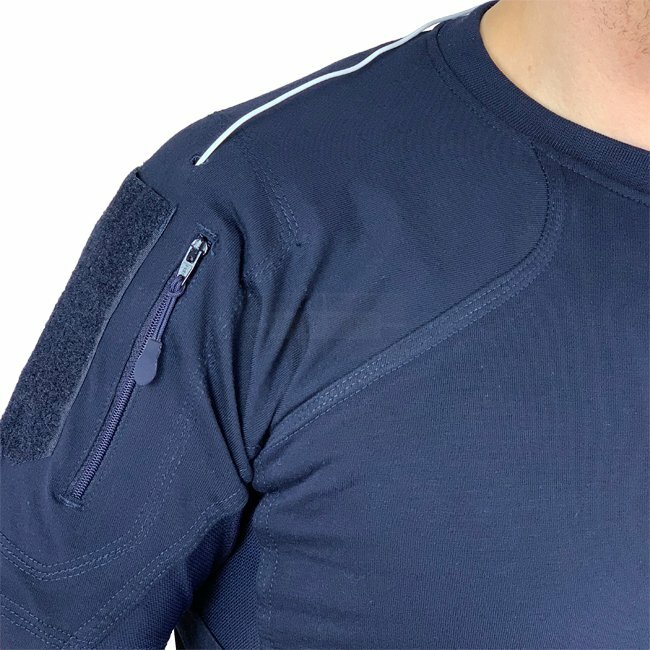 Whether at the shooting range or for CrossFit - The sporty cut supports the use of a Plate Carrier due to the rerouting of seams which bypass unnecessary pressure points. 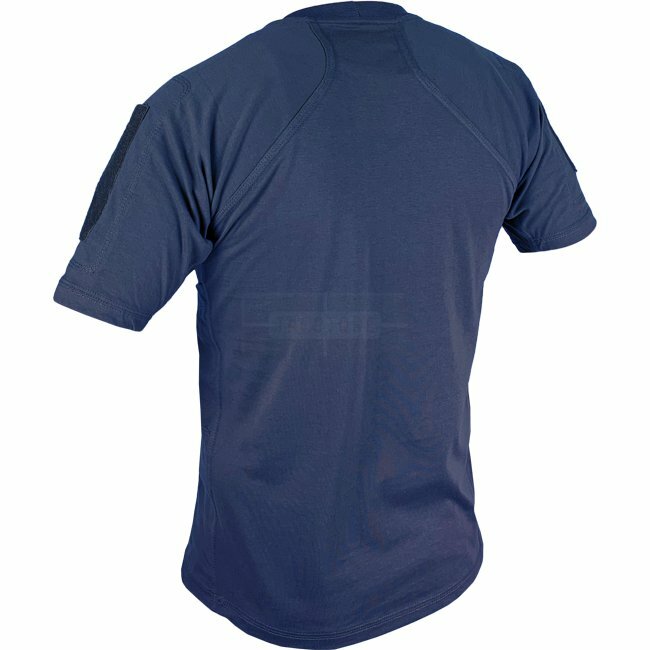 The Range Master T-Shirt is also extra longer in the back, so it does not slip out of the user’s pants when kneeling, climbing or bending over. 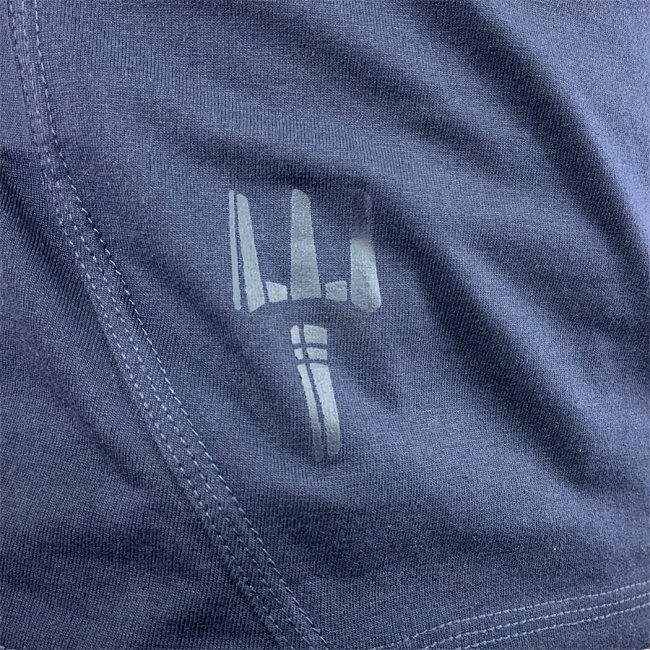 A subtle Trident logo in the lower front completes the modern and sporty design.